It’s been a while… but we’re finally back! While we’ve been quiet our love for cute toys never left. In fact, we’ve discovered more artists and brands! 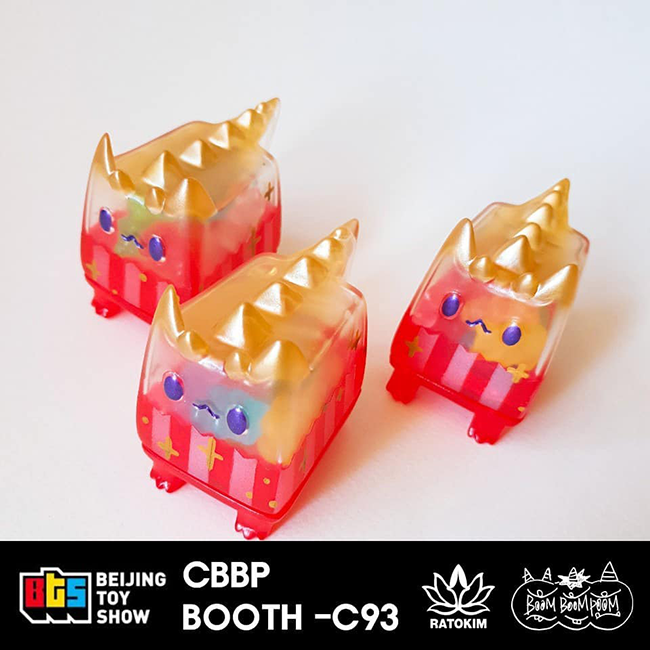 Several of them will be coming to the 2018 Beijing Toy Show this upcoming weekend. 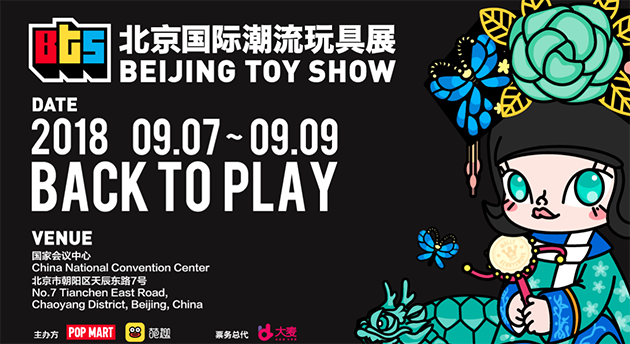 The Beijing Toy Show, aka BTS, is one of the many international conventions we wish we were able to attend. In the past several years, sofubi aka soft vinyl aka Japanese vinyl has gotten very popular and it seems that the best toys have only been available overseas. While some artists and stores are willing to reserve some of their stock for those that can’t make it to these conventions it’s still a challenge to bring some sofubi home. This hurdle still doesn’t deter us from checking out what the exclusives will be. Last winter we were introduced to Seedlas, a new character from Shoko Nakazawa aka KORATERS. And since its debut, Seedlas has been a holy grail for many toy collectors. The Little Hut will be selling a variation of this figure called Seedlas Brother at BTS that we hope will get a stateside release in the future. This version glows in the dark, so you can admire it even at night! We learned about both Merry Go Round and Tangent earlier this years and were amazed at how many cute figures they’ve released. Their hedgehog figure Hogkey is already pretty cute, but colorful customizer Candie Bolton has made it even cuter by with her amazing painting skills. Plus it’s clear which means it’ll be even more amazing in the sunlight! Fluffy House is one of our favorite brands so we’re always happy to see new releases to add to our collections. 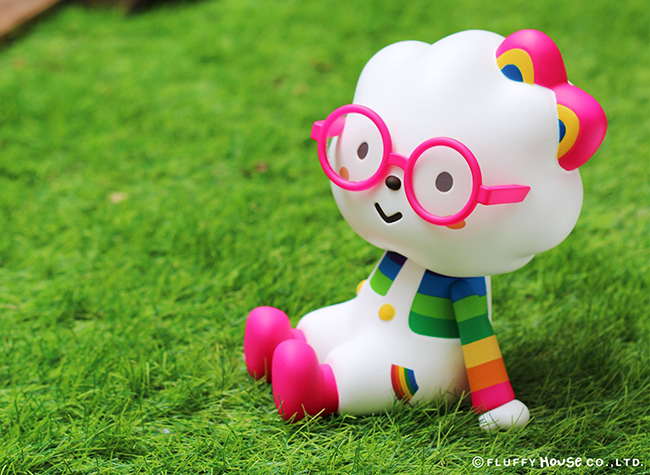 We can’t decide between a pastel-colored Miss Rainbow aka Little Girls Dream BIG and the sitting neon-colored Miss Rainbow that’s giving us major Elton John vibes. Both toys are about 7 inches tall, a big upgrade from the previous Miss Rainbow releases. 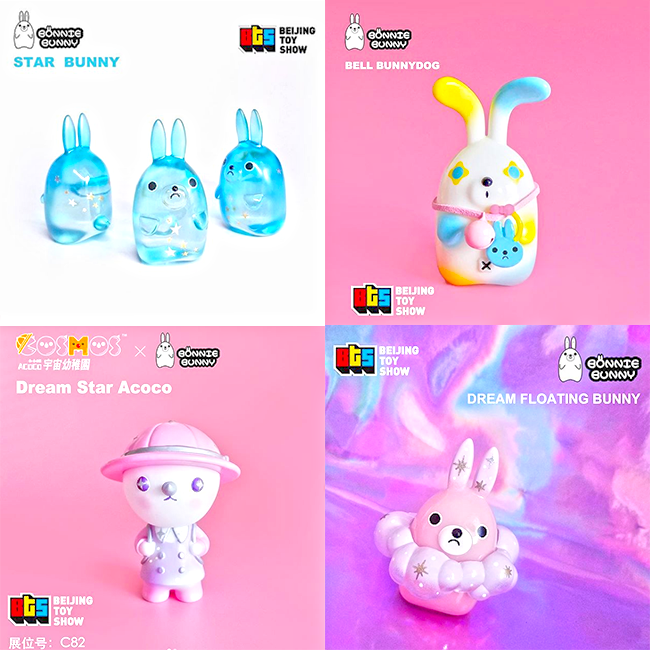 We just recently learned about Bonnie Bunny and we instantly fell in love with all here toys. Her bunnies and other animals are just so cute it’s hard to pick a favorite. If we were at BTS we most likely buy one of each of her toys! Rato Kim is another one of our favorites that we’re always excited for the next release. These Dino Cats are just as adorable as its Box Cat predecsssor with so many possibilities. 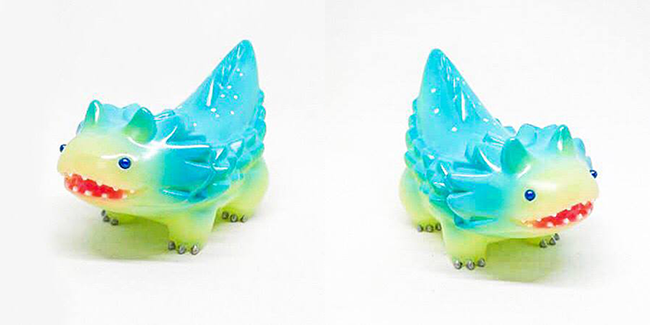 The colorway of this Rainbow Dino Cat is so pretty, and Jelly Dino Cat somes with gets that you can shake. Both are just too cute to decide; we already know that these will be sold out before the end of BTS. This is just some of the toys that will be available at the Beijing Toy Show this weekend. If you want to see the ENTIRE vendor list check out the official BTS website. We know more exclusives will be announced closer to the weekend so don’t be surprised if our list gets larger.